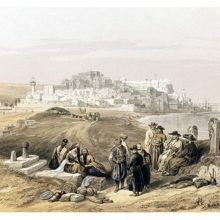 Caiphas, looking towards Mount Carmel. 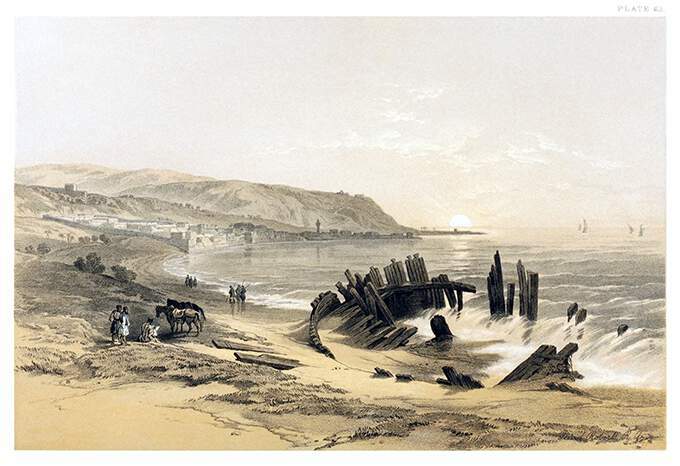 This view is taken from near the mouth of the River Kishon; and in the foreground characteristically lies one of the wrecks which constantly strew this exposed shore. 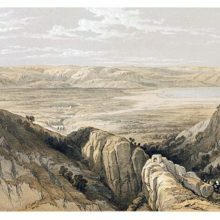 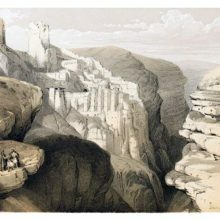 Mount Carmel is a ridge of about eight miles in length, rising from the memorable Plain of Esdraelon, and terminating in a bold promontory.